Some supplies for college are actually items that you'll wear. By that, we mean shoes! OK, so shoes aren't exactly thought of as college supplies in the same way as twin XL comforters and dorm trunks are, but they can still be college supplies in the sense that you'll use them every day in college. (And if there's a shoe representative of dorm life, it would be the humble college flip flops for showering.) 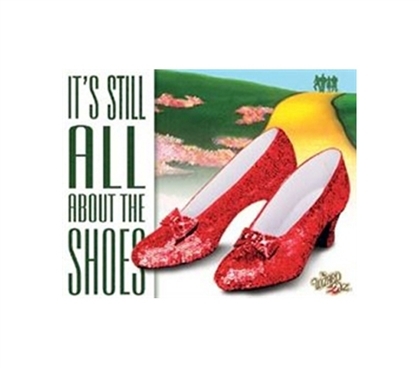 In any event, if you have lots of shoes, then this All About The Shoes Tin Sign will be the perfect college supply. When you're decorating your dorm room, tin signs for dorms offer unique dorm decorations.